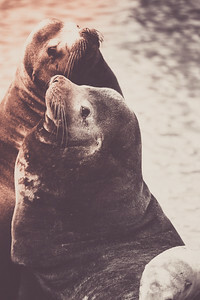 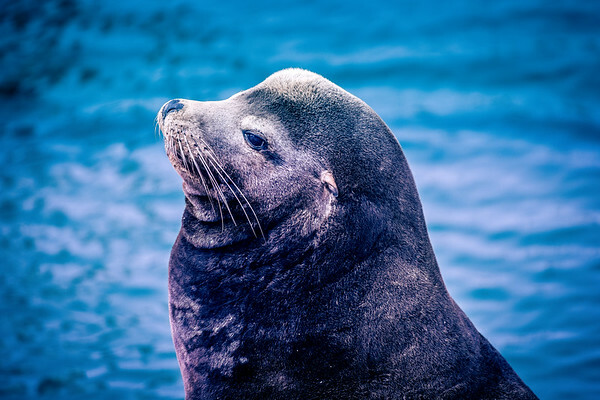 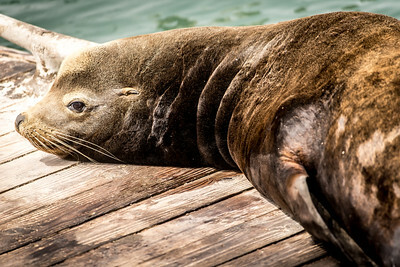 California Sea Lion - Male. 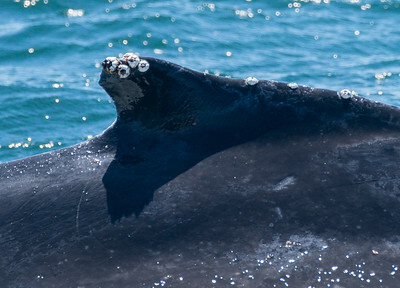 Note the large sagittal crest. 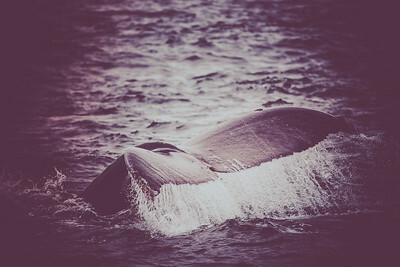 Fleeting glimpse of a Blue Whale (Balaenoptera musculus), the largest animal to have ever existed. 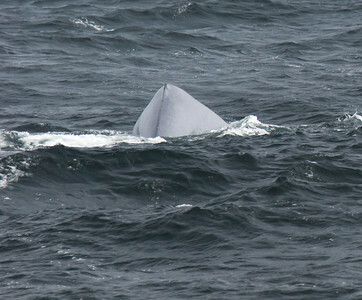 Note the grayish, blue color and the stubby dorsal fin. 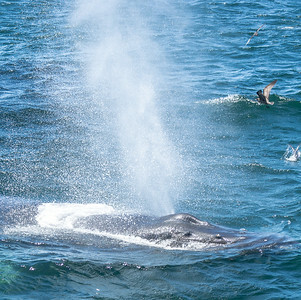 Our captain spotted this whale from about a mile away from its distinctive spray, which shoots in a narrow column about 20' above the surface. 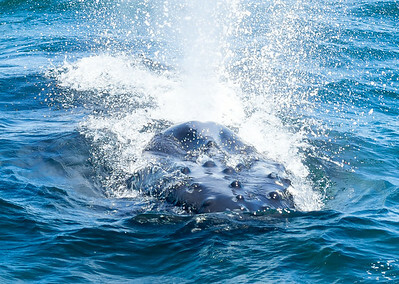 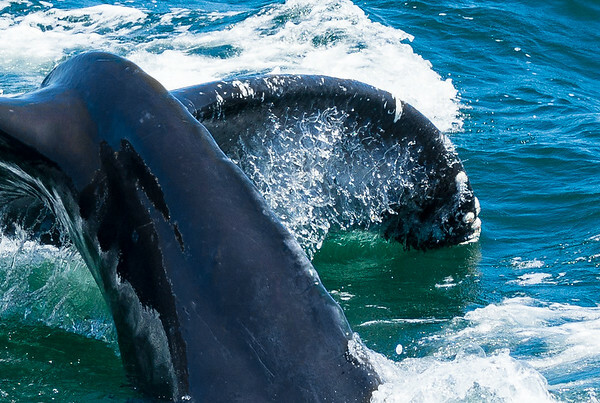 Knobby head of surfacing humpback. 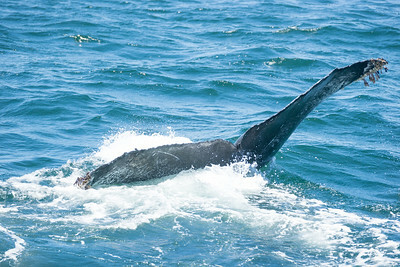 Barnacled tail of the humpback whale (Megaptera novaeangliae). 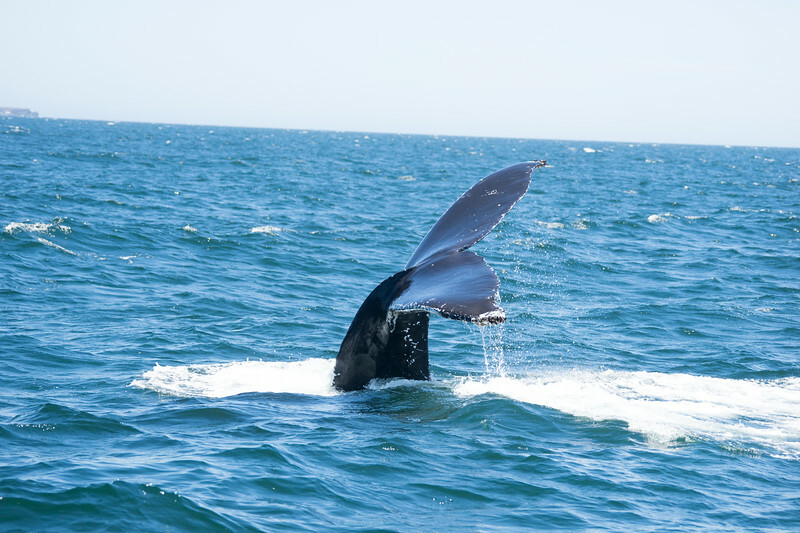 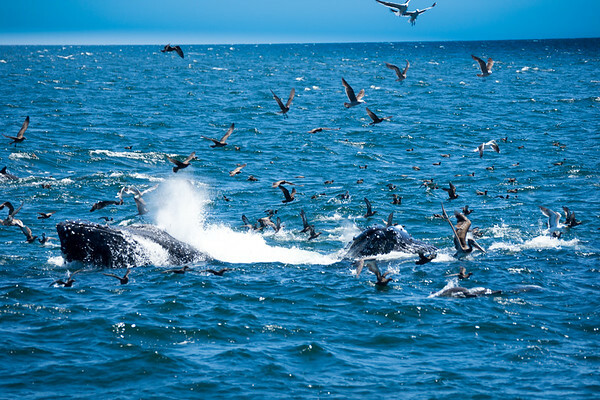 Despite their immense size, these whales were swimming about the same speed that a top marathon runner runs (11 MPH). 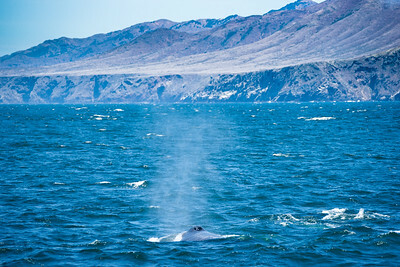 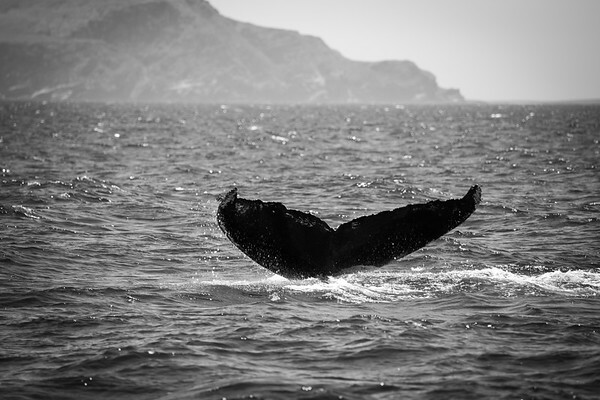 Tail of the humpback, with Santa Cruz Island in the background. 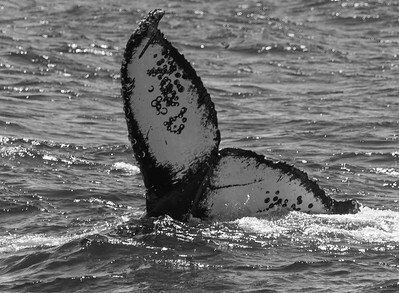 Graffitied tail of a humpback (Megaptera novaeangliae). 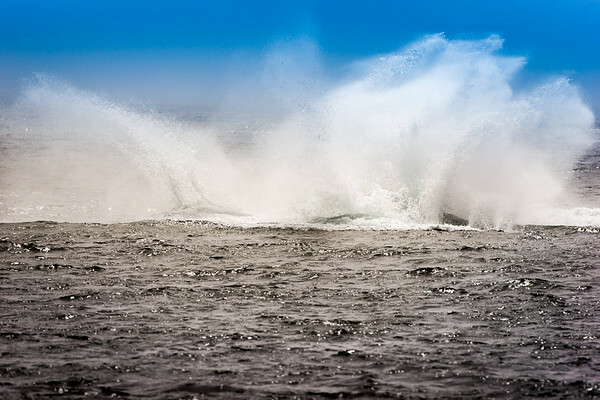 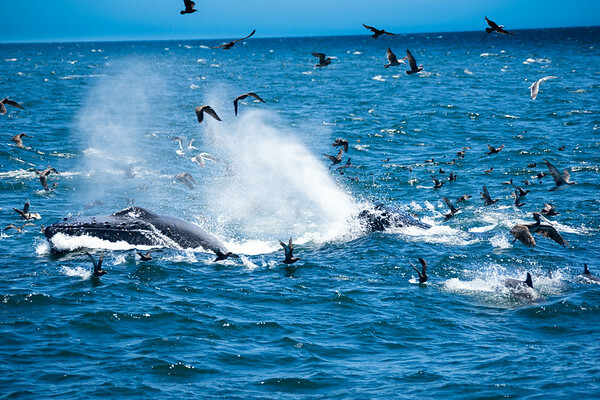 Two humpbacks partaking in lunge feeding on a bait ball, gathered together by the dolphins (also in the shot). 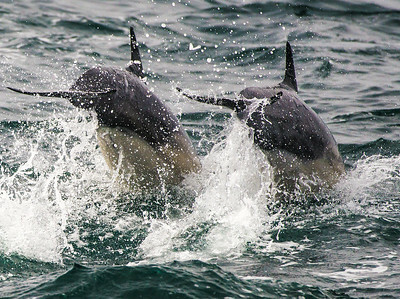 More lunge feeding on the dolphins' bait ball. 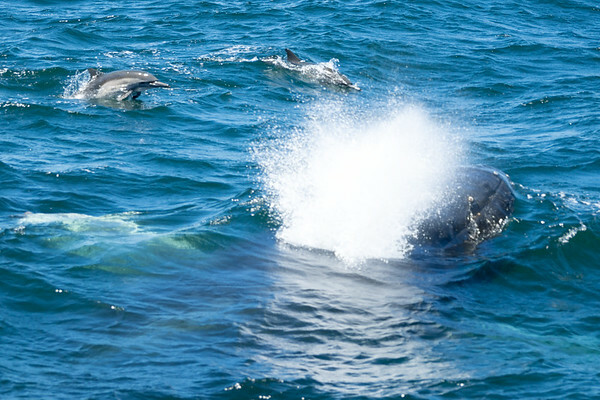 The dolphins can only try to avoid being swallowed whole. 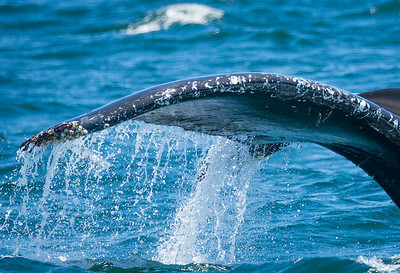 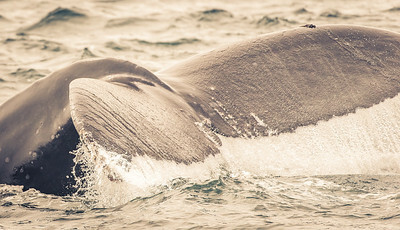 Barnacled hump of the humpback. 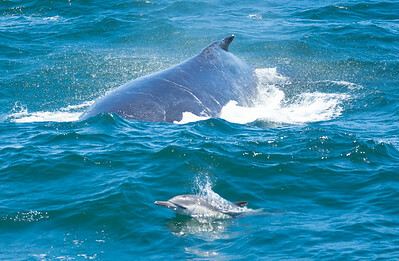 Two dolphins frolic with a surfacing humpback. 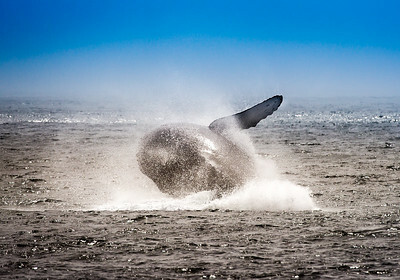 Humpback prepares for a long dive, called a sound.